Todd E. Hilton, age 43, formerly of Tower Drive, Port Washington died unexpectedly Saturday, October 26, 2013 in the Town of Grafton. He was born on December 26, 1969, son of DeWayne and Janice Hilton in Oil City, Pennsylvania. A 1988 graduate of West Forest High School, Todd enlisted in the US Air Force where he studied civil engineering. During that time he was stationed at Chanute Air Base in Rantoul, IL. While there, he started a family. Upon his discharge, the family moved to Saukville, WI. Todd was a plant operator for WE Energies in Milwaukee for many years. He later moved to Port Washington. Recently, Todd transferred to the Port Washington Power Plant where he was an operator mechanic. Over the years, Todd enjoyed the outdoors. Hunting, fishing, snowmobiling or riding his Harley was his passion. He appreciated time spent with family up north in Wisconsin or the visits back in Pennsylvania. Even though he lived in Wisconsin for many years, the Steelers and Penguins were his team of choice. 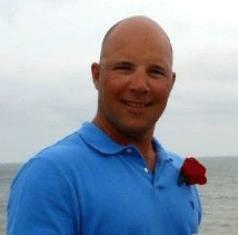 Todd was a former youth softball coach for U12 and U14 girl�s teams in Port Washington. He was a member of the International Association of Operating Engineers Local 420. He is survived by his four children, Nathan (Samantha) Hilton of Virginia Beach, VA; Allison (Marcus Lackovic) Hilton, Ashley (Tony Werner) Hilton and Mikayla Hilton, all of Saukville; his parents Janice and DeWayne Hilton of Tionesta, PA; sister Tracy Hilton of Andover, MA; brother Tim (Shannon) Hilton of Mooresville, NC; niece Emily Hilton, nephew Jacob Hilton, other relatives and friends. Funeral services will be 1PM Saturday, November 2, 2013 at St. Peter of Alcantara Catholic church, 1802 N Wisconsin Street, Port Washington. Deb Hamm will be the officiant. Family will receive friends from 10AM-12:45PM Saturday AT CHURCH. Services will conclude with military honors by the Ozaukee Memorial Post VFW 5373 and the U.S. Air Force. In lieu of flowers, memorial donations may be made to the children or a charity of one’s choice.